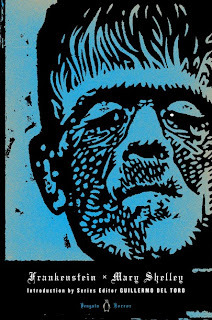 Foil the Plot: Bookish News: Penguin Classics Get Creepy! 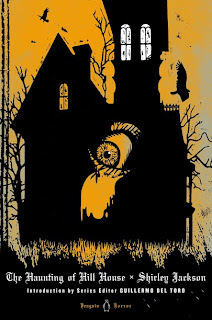 Bookish News: Penguin Classics Get Creepy! In bookish news, Penguine Classics has partnered with acclaimed horror filmmaker, Guillermo del Toro, to debut a new line of creepy classics. The Penguine Horror series will feature some of del Toro's favourite paranormal, sci-fi and horror novels, each one sporting a terrifically terrifying cover. 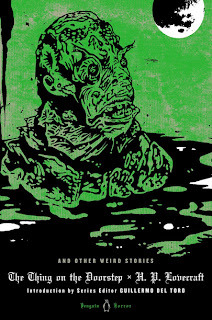 Some of the books in this series include: The Haunting of Hill House by Shirley Jackson, The Thing on the Doorstep and Other Weird Stories by H.P. 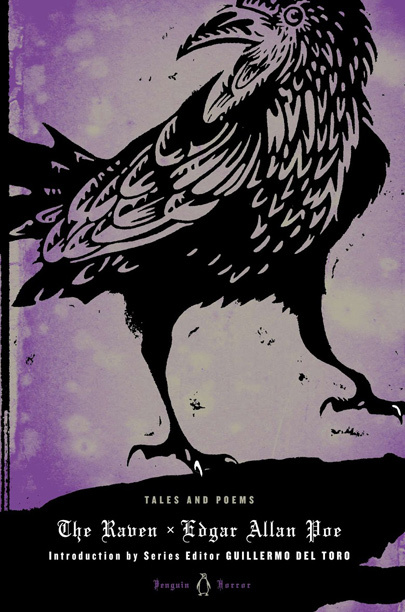 Lovecraft, The Raven by Edgar Allan Poe, Haunted Castles by Ray Russell , Frankenstein by Mary Shelley and American Supernatural Tales with stories by Stephen King, Shirley Jackson and more. The line goes on sale, September 24th --- just in time for Halloween! Which of these covers is your favourite? Personally, I'm a fan of The Raven! What do you think about Penguin's partnership with the director? Do you think we'll be seeing more collaborations like this in the future? Wow! This is so cool! 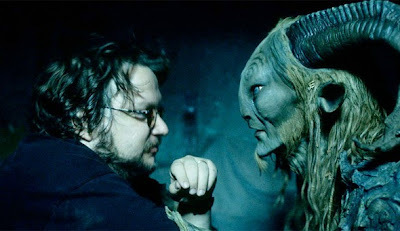 I like Guillermo del Toros creepy style. The Raven cover is nice, so is Frankenstein. I know, del Toro was the PERFECT choice for this. I think I'll probably be buying all of them now. It's really fantastic! I'm so excited for this! Creepy awesome covers. This is pretty cool! I love The Raven one too! Thanks for sharing. I love these. I think Poe has suffered a little with covers in the past so good to see a stylish one! I wholeheartedly agree with you there, Ellie! 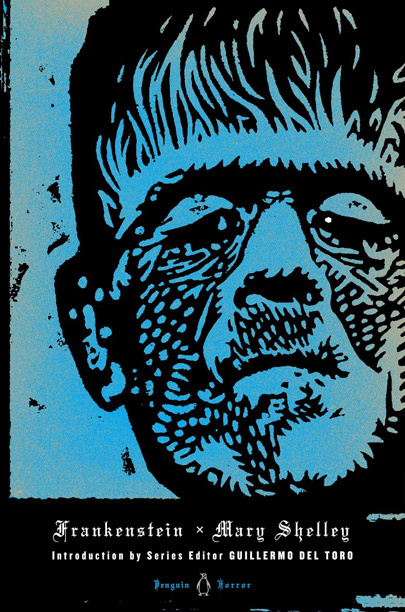 I'm surprised Frankenstein hasn't become a penguin classic before. My favorite covers have to be Haunted Castles and The Raven. The Raven looks so shiny! I love the picture and quote you have on top. That movie was crazy! The bottle scene especially. I know, right!? These covers are AMAZING arent' they. These are gorgeous covers! It's amazing how changing the outside of a book can make it seem much more appealing. I'm not really into horror, so I don't think this will get me to read these books (or reread the ones I've read). But I love that Penguin is teaming up with del Torro to make these. I hadn't heard of this, so thanks for sharing! I really hope that'll inspire a new generation of youngsters to start exploring these classics. The horror genre often gets a bad rap (and even worse covers), so as a fan, it's nice to see them finally stepping it up a bit. I really, really all of these! I can't wait to see these gracing the shelves of my local bookstore! Same here! I'm so excited!